Electronic Media Creating Awareness on Life Saving Techniques BUT not in Pakistan! Today, we would like to bring to your notice what foreign media has done to create awareness on life saving techniques from their films, tv shows, morning shows & tv series. many other tv shows and tv series names. I remember one quote which suits the above situation. “Education is the cheap defense of nations”. In Pakistan we lack here as well but efforts were made by some of the channels only after the 2005 earthquake but those were not enough as maximum efforts were made by private channels those have viewership but not penetration as national tv channel have. “Not Failure, but low aim, is crime”. I hope we will not stay less fortune as we were in the past and other mediums will also contribute to create awareness on these techniques; those if implemented precisely (not 100% correctly and efficiently) will also be beneficial to save a life! 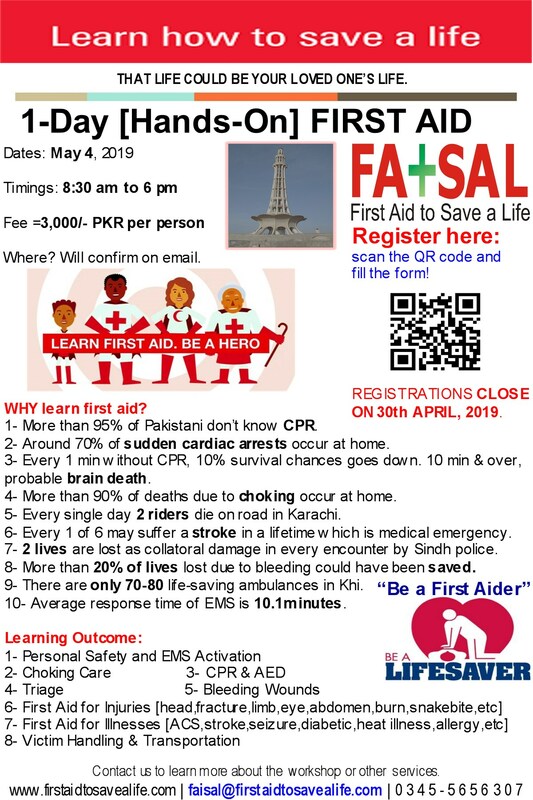 We at First Aid to Save a Life Pakistan will also trying hard and doing our part with the community training programs we have to create awareness for schools, colleges & universities students. This entry was posted in Advanced First Aid, Basic First Aid, CPR and AED, Effects of extreme temperature, First Aid, First Aid and CPR, First Aid CPR and AED, First Aid Training Programs and tagged CPR, media creating awareness on bls techniques, tv media creating awareness on life saving techniques. Bookmark the permalink.